Meet "The Voice" Javier Colon - NBC The Voice Champ. After nearly three months of some of the best singing I've ever seen in a talent competition (Good-bye American Idol), it was decision time. 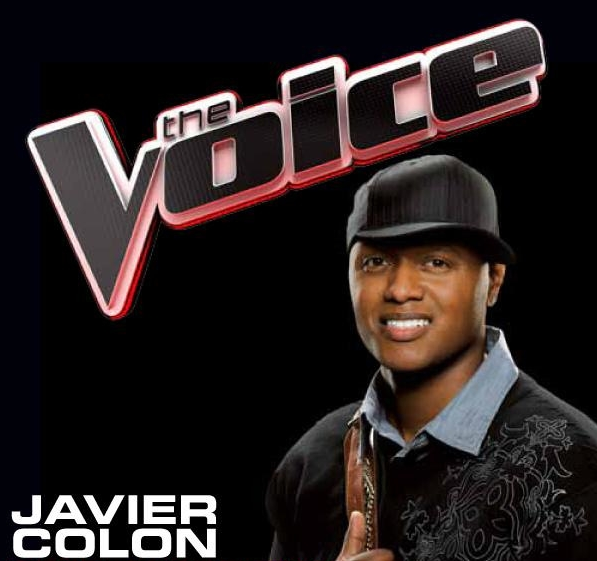 America had voted and NBC The Voice 2011 Crowned Javier Colon "The Voice" (#TheVoice on Twitter). Immediately following last night's show where each of the contestants performed duets with their coaches and original songs - the final competitive singing - Javier Colon went to #2 on iTunes for his duet with Adam Levine, his coach, of the Michael Jackson hit Man in The Mirror. However, Wednesday, Dia Fampton's original song Inventing Shadows went to #1 on iTunes. If I had a bookie handy, I would have put my money on Dia winning. When it came time for the results, Carson Daly said that the top two vote-getters were only separated by 2% - and Javier Colon wound up on top. It couldn't have happened to a more deserving guy. He's struggled for a long time to get into the music business and even had a record deal the fell through. It makes you feel so good when a guy with a white hat on wins. There are no real losers over the last couple weeks. The eight finalists are already booked for a multi-city tour sponsored by Sprint. Everybody is going to get PAID! - Finally! All eight will most likely have recording careers in the near future - they are all that good. The Voice - the breakout hit of the spring season - has been very good to NBC. Combined with America's Got Talent, NBC was #1 in all of the major demographic categories for two straight weeks. They haven't done that since September of 2010. In a recent interview by Carson Daly of Mark Burnett, the show's creator, Burnett said, "You have to create a great story. The human element is what draws people in." And The Voice was magnificent at doing just that - bring us great stories. By the final show, we felt we knew all of the performers, intimately - and that is all from the way the show was put together and produced. Ratings were so explosive for The Voice, early in the season a decision was made to have a 2nd season. Casting is going on right now. To see past performances, check out bios, and put your talents into the casting call, check out the complete NBC Home of The Voice.